Meanwhile, Twitter has been buzzing with the hilarious Adjective collected from six reviews of the new Bon Iver album by pop culture blog The Awl. Our favorites are the variations of "bearded": "beardo," "beardy." 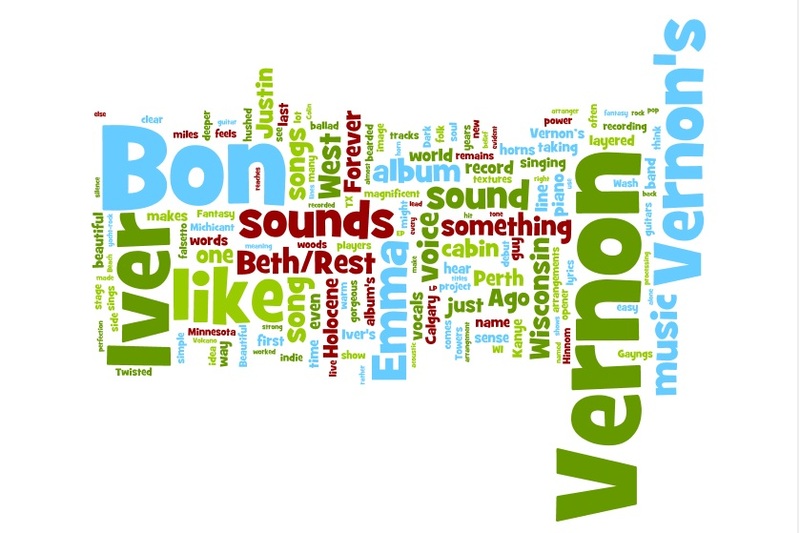 In response, Minneapolis' own @solace seemed to have created a new meme, via a word cloud using nouns found in Bon Iver reviews. While we're on the topic, NPR has a new interview with Vernon you can listen to or read on their website.